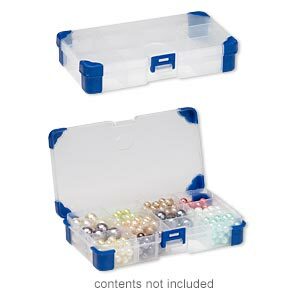 Organizer box with lid, 17 compartments, 11 inches wide by 7 inches long by 1-1/2 inches high, sold individually. Item Number: H20-1088PK Have a question about this item? Plastic hinged lid snaps closed for easy viewing. 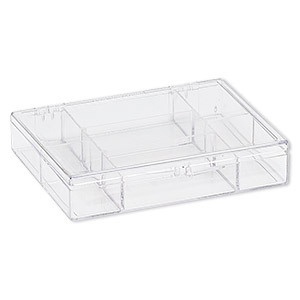 Organizer, clear plastic, 6-3/8 x 5-3/8 x 1-1/2 inch rectangle with 30 containers. Sold individually. 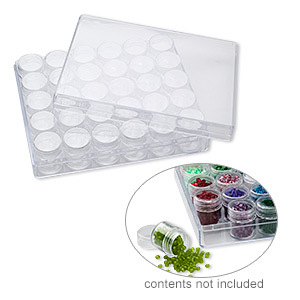 Clear acrylic utility box, with 7 compartments, sold individually. 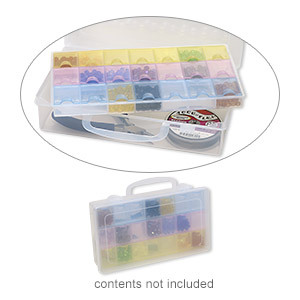 Organizer, acrylic, multicolored, 8-3/4 x 5 x 2-inch rectangle, 21 compartments. Sold individually. 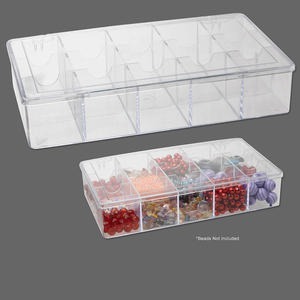 Organizer, clear plastic, 6-3/8 x 4-7/8 x 1 inch rectangle with 12 containers. Sold individually. 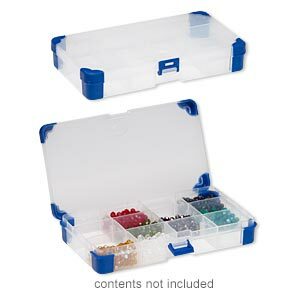 Organizer, acrylic and rubber, clear and blue, 9 x 6-1/4 x 2-1/4 inch rectangle with tray insert, 3-9 adjustable compartments. Sold individually. 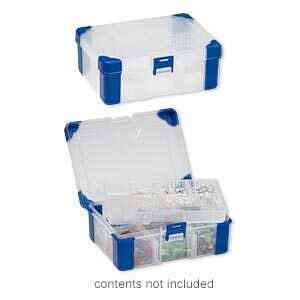 Organizer, acrylic and rubber, clear and blue, 6-1/2 x 3-1/2 x 1-1/4 inch rectangle, 4-12 adjustable compartments. Sold individually. 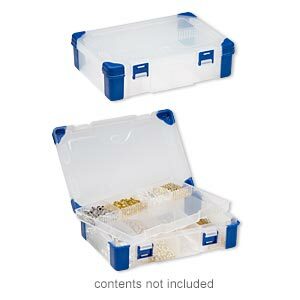 Organizer, acrylic and rubber, clear and blue, 5-1/2 x 2-3/4 x 1-1/4 inch rectangle, 5 compartments. Sold individually. 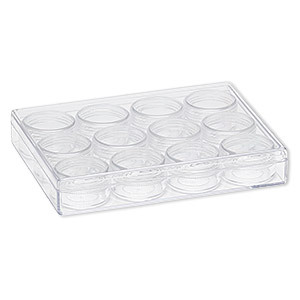 Organizer, acrylic and rubber, clear and blue, 6-1/2 x 4-1/2 x 2-1/4 inch rectangle with tray insert, 3-11 adjustable compartments. Sold individually. 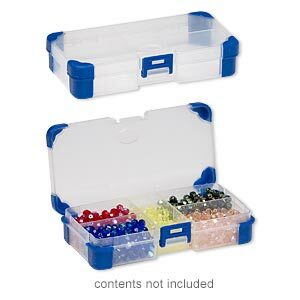 Organizer, acrylic and rubber, clear and blue, 8 x 4-1/4 x 1-1/4 inch rectangle, 5-12 adjustable compartments. Sold individually. 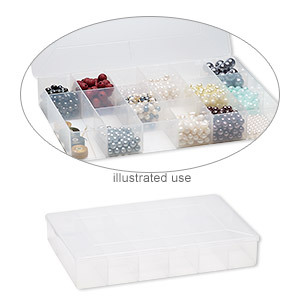 Organizer box, clear, 11x6x2-inches with 15 compartments. Sold individually.